We buy our coffee from world class roasters. This is not just a hollow statement, but a certifiable fact: Our roasters has proven their excellence on the world stage. 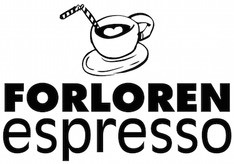 Forloren Espresso only serves coffee of the highest quality also known as Speciality Coffee. The coffee is prepared in the shop using best practices in order to respect the dedicated work applied by coffee farmer, green (bean) buyer and roaster. High quality coffee only comes to life when all participants through out the supply chain have done their outmost to create and preserve the quality attributes — that includes our final preparation before the delicious drink is handed to you. Please ask in the shop if you want to know more our amazing suppliers. The whole chain of coffee supply and preparation is making a significant imprint on both environment and human lives. Sustainability is a complex matter that is not only addressed by buying products with organic or fair trade labels. For Forloren Espresso, quality comes first, and we firmly believe that unless you focus on quality, you will never achieve human or environmental sustainability in coffee. Quality is the primary enabler of sustainability, for example; higher quality ensures the higher selling prices necessary for the farmer to sustain and develop their business, employees and family. You cannot achieve a sustainable high quality coffee crop, if you abuse the soil with pesticides and chemicals — and so on. Our Roasters frequently visit the supplying farms to verify quality and observe the circumstances of the farming. — Or our roasters buy from sources who take a similar approach in establishing direct farm relationships. Besides our choice of roasters, our contribution as a shop includes choices that we are able to make locally: We have switched from fossil energy to 100% locally produced wind power in both shop and office. We attempt to utilise reused furniture and materials etc., when decorating our shop. We offer customers free used coffee grounds, which works as an excellent plant fertiliser. On special occasions, we collect money that helps enable people in the coffee industry improve their lives; On International Coffee Day 2015 and 2016, all coffee drink related income was donated to International Women’s Coffee Alliance, in 2017 we donated a days worth of coffee drink sales to the important work of World Coffee Research.